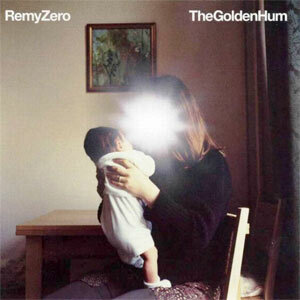 Remy Zero » Blog Archive » Download our new single ‘Til The End for free! OMG so excited for new music!!! Come to Cleveland, please. thank you, thank you, thank you for recording another great song. you are truly a great bunch of artists, and the world is a better place for the stamp you have made on it. looking forward to seeing the los angeles show with many friends in the audience. It’s just wonderful to hear new music from you guys! Hope to hear some more from you in the future? Wish I could make it to one of the shows, but, alas will be at home in Scotland while you are playing, hope everyone who is attending has a great time!! so good to hear that voice again! can’t wait for the show tomorrow night in SF. Struck from the same rich vein of art and sound as in years past…keep mining boys! Give us an album please! Thank you for celebrating Greg’s life! He was a one of a kind human being! Thanks for the amazing show in Seattle guys. The level of honor you performed with and spoke of for your departed friend was truly gracious. Your music is eternal and beautiful. I can only hope and wish for more to come. Thank you, most importantly. You just made my day…greatness! esse e como muitas das musicas dessa banda que ja mora na minha alma desde o dia que eu ouvi…musica que nos faz viajar…musica que nos faz ver coisas como vale apena esta vivo…..
Great to hear you’re back recording…Boston is hoping you’ll make a visit! Tell me you guys are coming to Australia! Finally! I’ve been waiting for new songs long time ago! “Till The End” It’s Gorgeous Song…. wow… amazing to hear a studio version of this one! … i remember the live one way way back and inserting a line about brooklyn at a key point… the fully-realized recording sounds fantastic! … god this takes me back in the most wonderful way… you guys and yr music will always hold a golden spot in my heart… also a lot of good post-remy stuff was made after the band fell into the shadows… keep the sun shine shining! Youre back? Please tell me you’re back. Musically, since I discovered you, nothing has been the same. Nothing comes close to you. You guys sound like nothing else out there right now. Hopefully there will be more tour dates and a new album. Smallville introduced me to you guys. I’ve been a big fan ever since! Thank you for sharing this. It is such great news to see more music from you. You are such talented musicians and you have such great spirit. 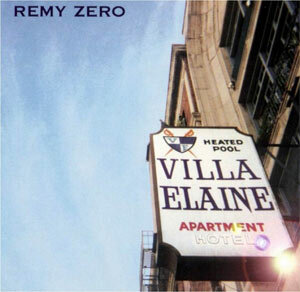 Remy Zero, Congratulations for one more very nice song!!! You are very good and I wish of you continue for a long and a long years… TKS!!! 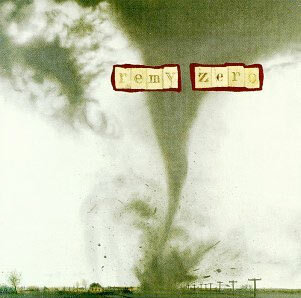 It’s good to see new Remy Zero music. Nice song, guys. I’m very sorry to hear the news about Gregory but happy you’re carrying on. I’ve always checked in every once in a while with what you’ve been up to, because your music caught me in a big way when I first heard it. Not to one-up the fans who first heard you on Smallville (any introduction is a good introduction), but this is back in the days I had a show on college radio. WRVU in Nashville was a great music education for me growing up and I had the privilege of spinning records there myself in 1992 and ’93 and turning on as many ears as I could to the amazing music going on. The station had a good selection of songs from local bands on carts, the tapes that were only a few minutes long and in endless loops so you didn’t have to rewind them. A lot of this stuff was the best in the whole place — unreleased, gritty, immediate. And maybe those songs’ allure was helped along by the sometimes ghostly quality of the carts. Low fidelity to start with, these were tapes that had been recorded over dozens of times. My point here is that my fellow DJs and I played a few of those tracks as often as we could, earnestly trying to expose people to music being made by the musicians around us who truly deserved to be heard, and first among those for me was Remy Zero. The songs you guys had recorded at the time were catchy and had great melodies but seemed different from everything else. Haunting, really, and showing great production even if it was very different from what you achieved later. I couldn’t wait to see you live but I think it was another DJ who filled me in that you were from Birmingham, so I realized that probably wasn’t happening. It just made me play the tapes on air even more often. Any chance of hearing those recordings again? it´s great that you’re back with a new album. Good to here some material from you guys again. Good stuff and cracking lyrics. Saw you over here in the UK in Portsmouth around 1996 I think. You were supporting Travis. Thought you were Great then and would love to see you gigging again over here. All the best for the future. Gosto da banda e mais uma vez provaram que estão no caminho certo. A música é gostosa de ouvir. A bit late in this, but thank you. Your music has always struck a chord with me. thank you … thank you … thank you … vey much … u guys are awesome ….